White County, Illinois, voters weigh in on whether to support a sales tax increase to help pay for the local ambulance service. Earlier this year, the ambulance service was downgraded from advanced life support (ALS) to basic life support (BLS). Tuesday, a public safety tax increase question appeared on the ballot. 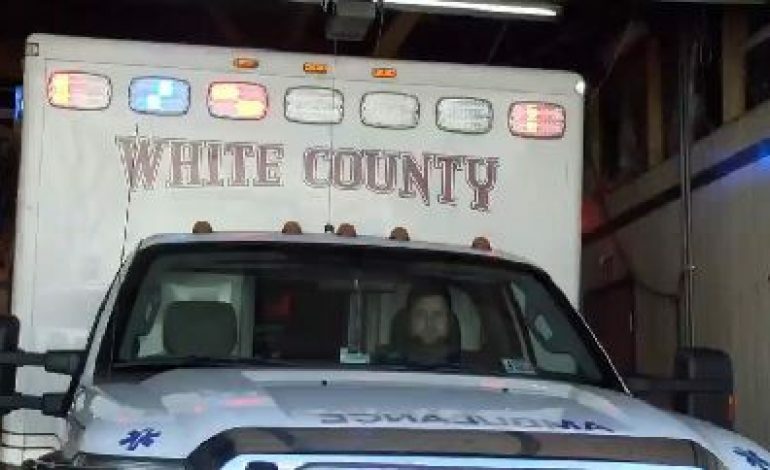 “I often say it’s like David versus Goliath, and David isn’t winning in this battle,” says Adam Allen, the White County Ambulance Service Director. The increase would mean shoppers would pay an extra 50 cent tax on every 100 dollars spent. “So it was very minimal, but as most places around, everyone feels they are taxed to death,” says Allen. The referendum did not pass. The tax increase would have generated about half a million dollars per year for the ambulance service. This may have been enough to help the ambulance service get its advanced life support status back. As a result, it would have helped them monitor cardiac levels and administer cardiac drugs and other necessary medications. Since voters opted not to pass this tax, some people are worried about the future of the service. “I worry about accidents, and we’re not going to be able to recruit any type of industry in our area if we don’t have a hospital, which we don’t or an ambulance service, and we’re dependent on other places and I just don’t see other people moving into the area because of that,” says Paula Dozier, White County Clerk. The director of the ambulance service says they hope there is another plan, but in the meantime, he plans on continuing to do his job. Some county officials say they hope the ambulance service can continue to operate on a volunteer basis. “Because that’s the only service we had and we just, today in our general fund, we’re over a million dollars in the red, and there’s no way that the general fund is going to provide any type of relief to the ambulance service,” says Dozier.